The Coen Brothers are back with The Ballad of Buster Scruggs, a collection of short tales about The West. Featuring outlaws, Indians, coachmen, entertainers, prospectors, and gamblers, this should be easy territory from the directors of No Country For Old Men and True Grit, experts in both the wacky and the serious, the mythical and the specific. Yet this film sees the brothers at their most tedious, trucking in negativity instead of insight, and lacking the basic understanding of what makes a short film work. 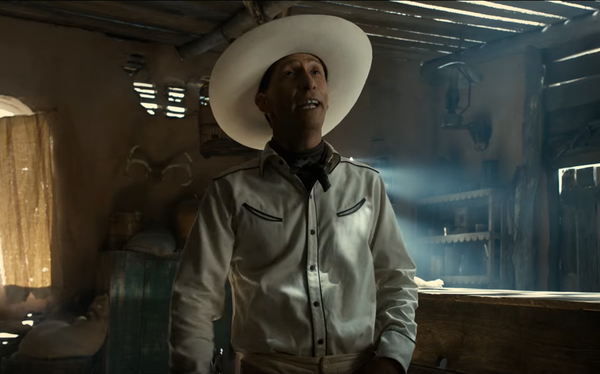 It starts with a cracker, a stupid-funny, fourth-wall breaking tale featuring Tim Blake Nelson as a troubadour/gambling gunslinger continuously getting into fights. Featuring great tunes, precision-perfect comic editing, and a deeply memorable central character, it gives one the impression that we are in for a real treat. Yet from there it only gets progressively worse. Despite featuring such big stars as James Franco playing a bank robber, Tom Waits playing a man looking for gold, Brendan Gleeson as a bounty hunter, and Liam Neeson as a travelling entertainer, great presences are wasted in service of a nihilistic —and frankly boring — worldview. Don’t go in expecting fully-fleshed stories so much as long-depictions of one person trying for nearly half an hour to succeed at something before it being cruelly dashed away from them in the end. There is little setup and payoff here, and once you get into the film’s rhythms, it simply becomes excruciatingly predictable. Nearly every story ends with someone getting shot — hardly a comment on the inherent violence of the West, more just basic and lazy storytelling. Short stories have to be punchy and smart, and apart from the great opener, there are few twists, little suspenseful moments, and even less memorable lines. Throw in excessively mannered Old West dialogue, and it becomes easily one of their worst and most embarrassing films. We all know that The Coen Brothers worldview can be notoriously pessimistic, coming down to one simple thesis: life is pointless and all human endeavour comes to nothing. This negative outlook is fine for intense meditations on the human condition such as No Country for Old Men, but becomes almost impossible to sustain over six different stories. You know they will end badly, and they do. The End. Done correctly, anthology stories can be a riot — consider Wild Tales and this year’s Panic Attack, both which manage to tell several stories and maintain a heady, thrilling sense of momentum. 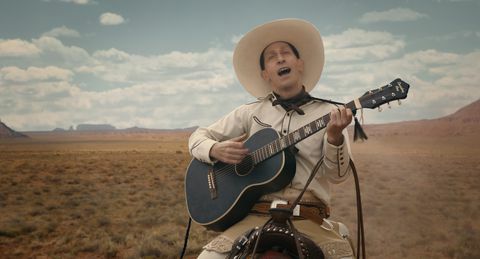 But The Ballad of Buster Scruggs shows that the exact opposite can happen, repeatedly bludgeoning the audience over the head with variations of the same sad tale. Perhaps just over a neat 90 minutes, this would’ve been a mere trifle in their storied filmography, but coming in at 132 minutes, it becomes nearly as interminable as The House That Jack Built. It leads me to think that the only reason Netflix and the Coen Brothers ditched the mini-series idea is that nobody would actually have the power to get to the finish line. It’s the biggest disappointment of the year. Have to say, I completely disagree with your take. Although it doesn’t rank among their very best, I found it to be quite a treat, and even haunting at times. I won’t soon forget the blank look of resignation on the face of the limbless bard, nor the endearingly mannered dialogues along the course of the wagon train. Western lovers will find gold in how common tropes are used, and the visuals are absolutely pristine. I was struck by the imagery, and enjoyed the deliberate pacing. Some ending do seem abrupt, potentially without proper payoff, but the disappointment fits the theme. Highly recommended for western lovers, worth giving a shot for others.